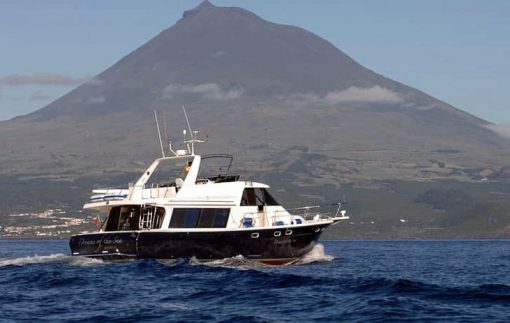 1 boat trip for whale watching. 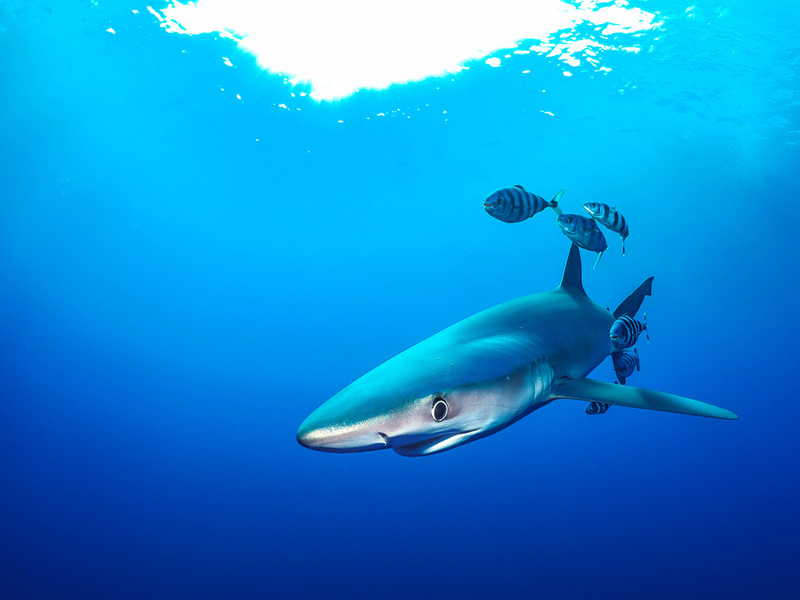 For our professional photo program, please click here. 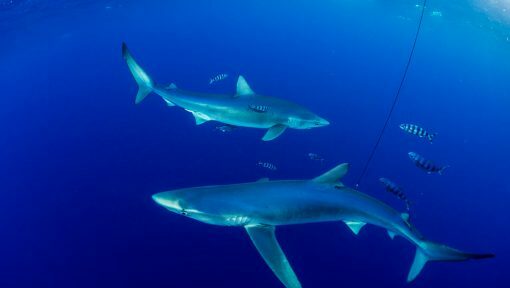 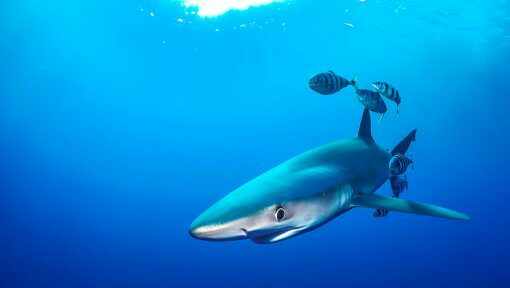 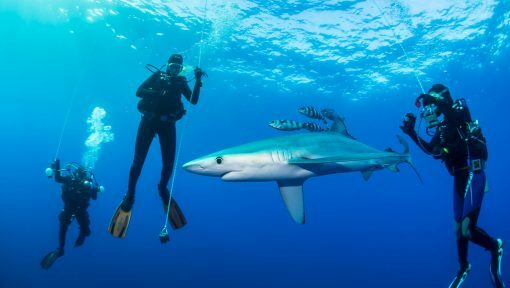 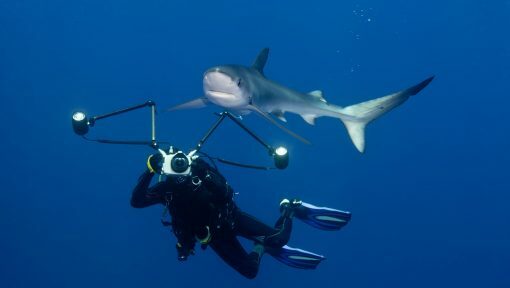 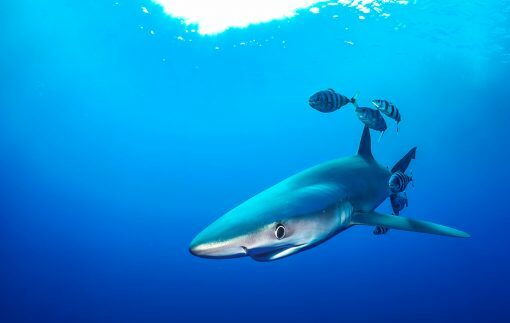 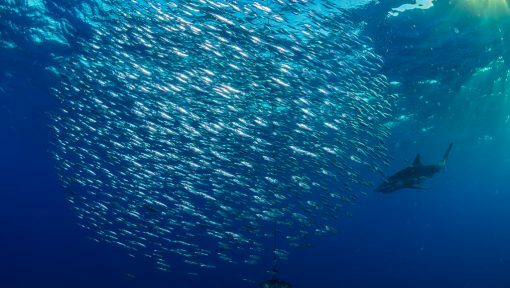 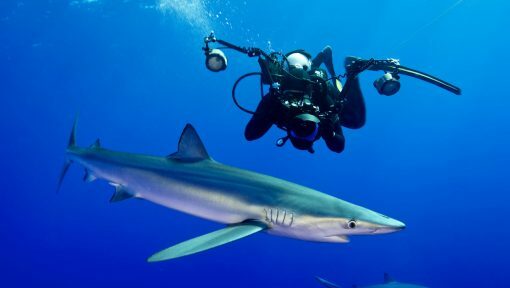 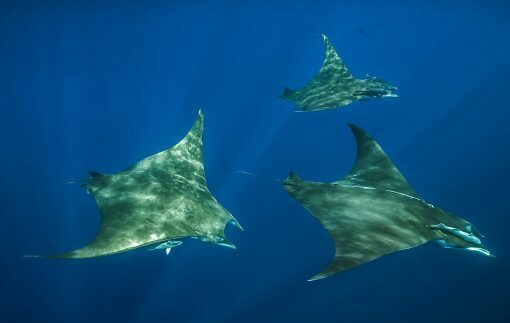 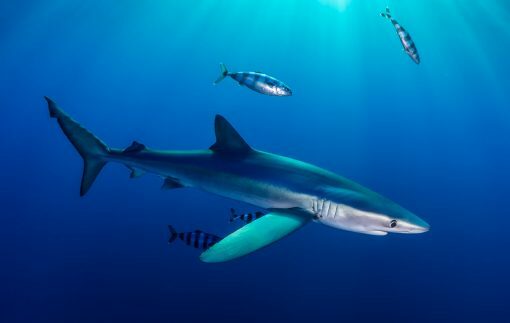 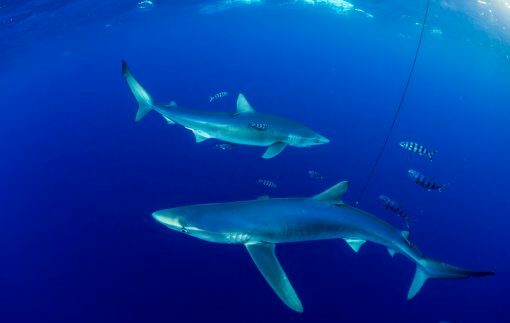 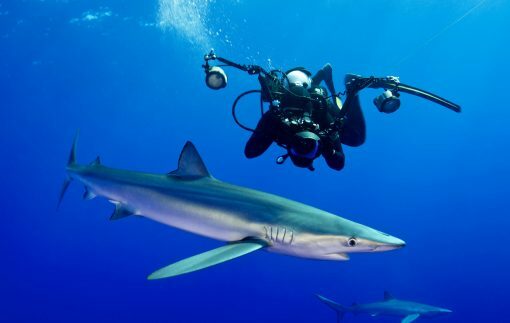 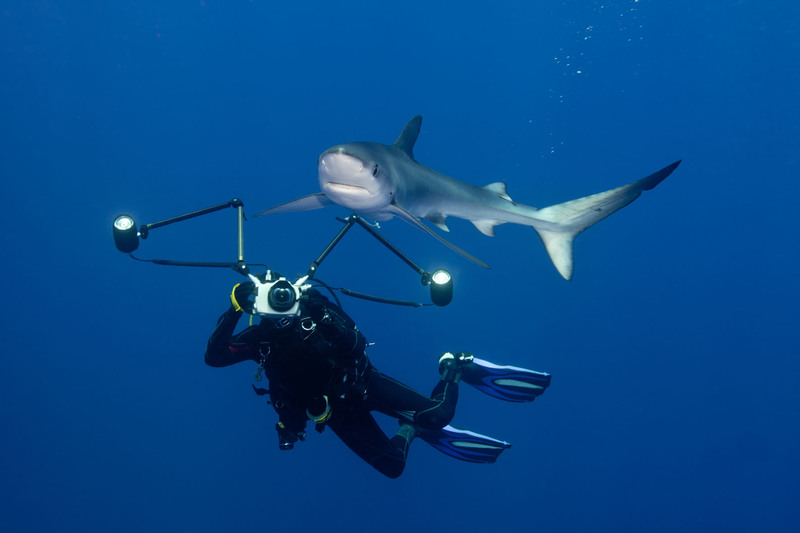 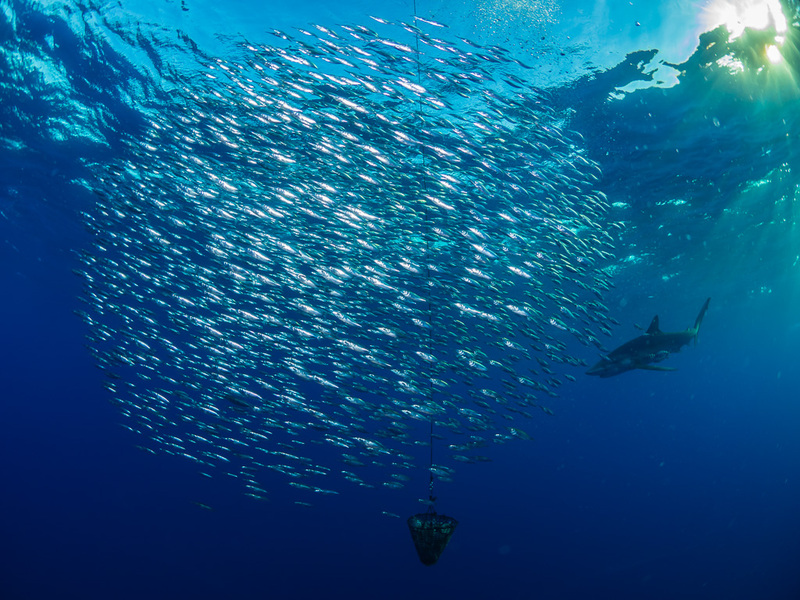 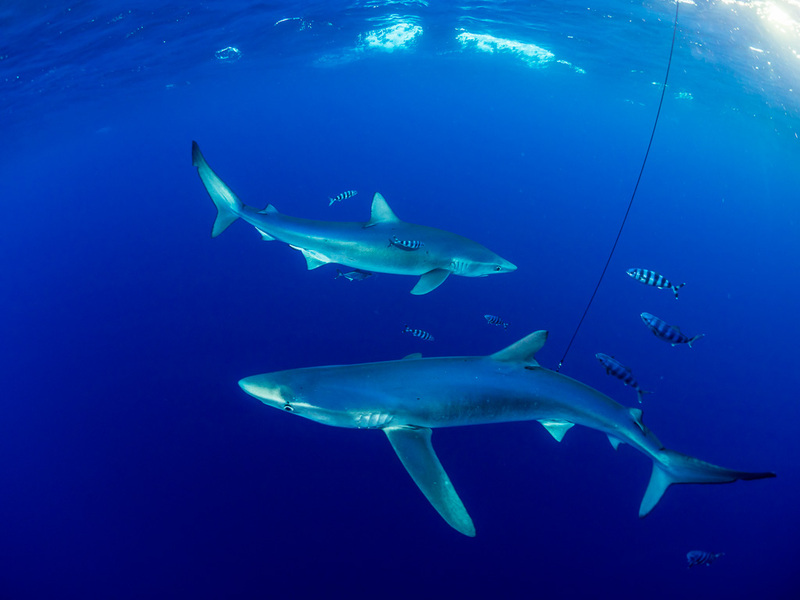 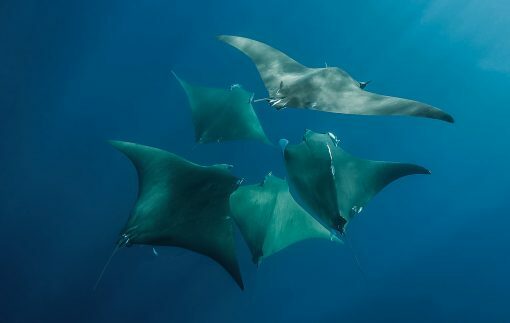 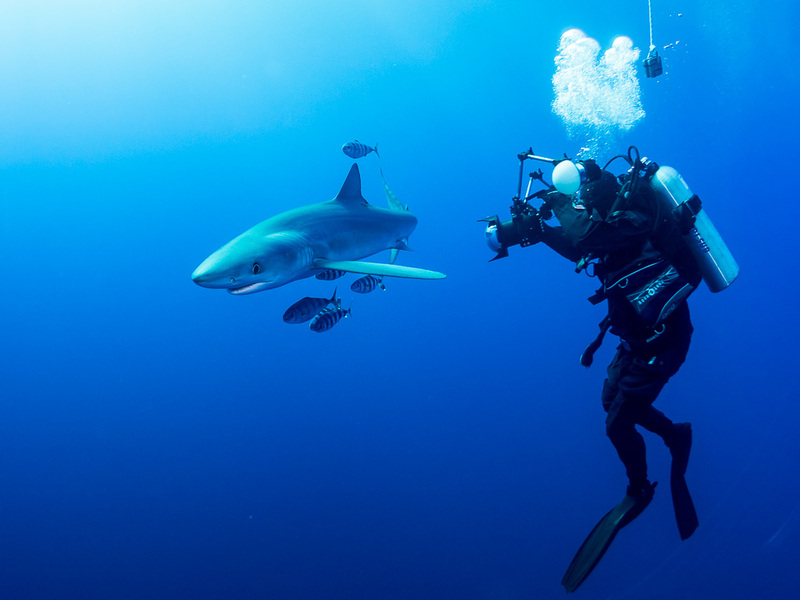 The offshore banks around the Island of Pico offer excellent opportunities to dive with sharks at terrific sighting distances. 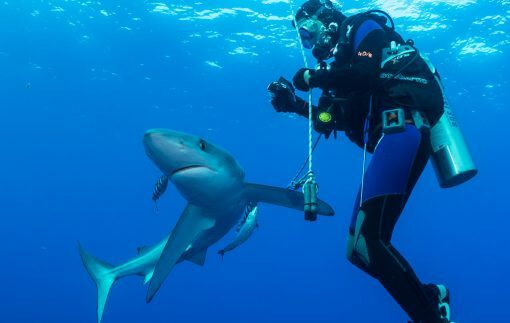 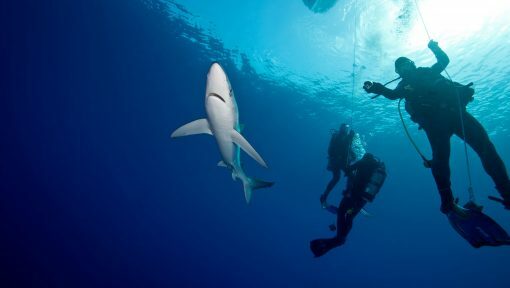 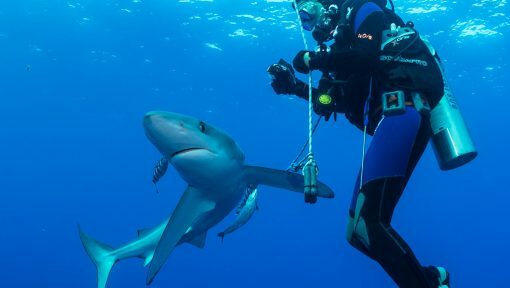 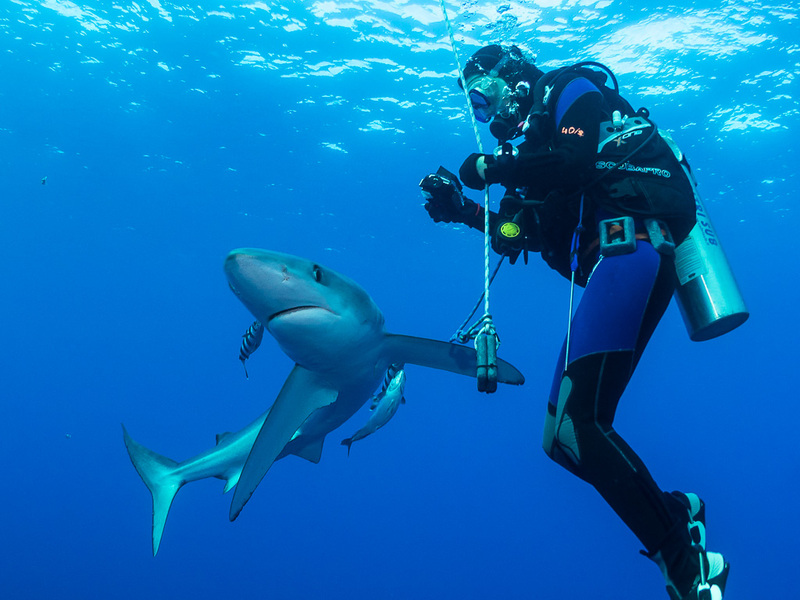 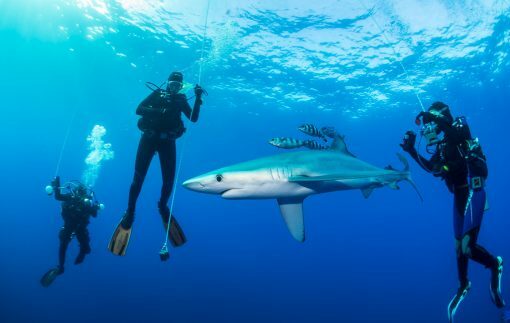 The blue sharks and mako sharks approach the divers up to arm’s length. 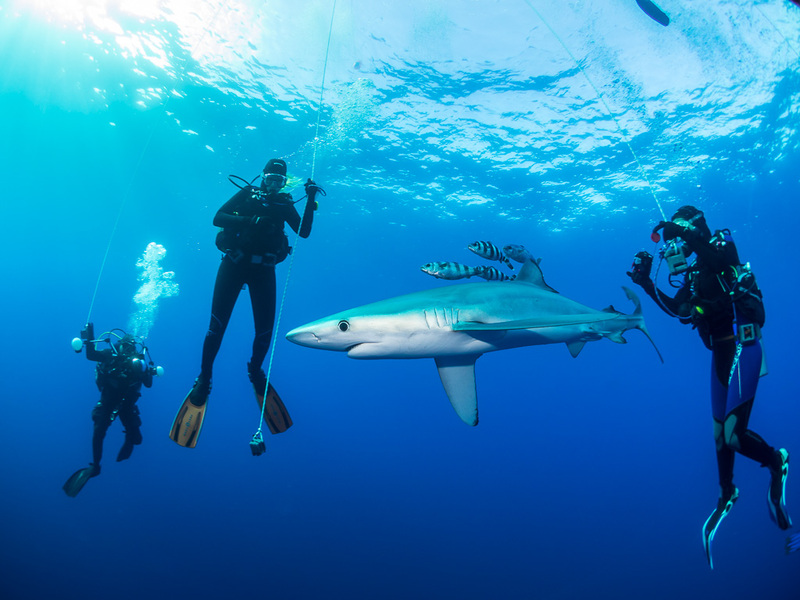 The programme is combined with a diving day at one of the best dive spots in the world in the Middle Atlantic, at Princess Alice Bank. 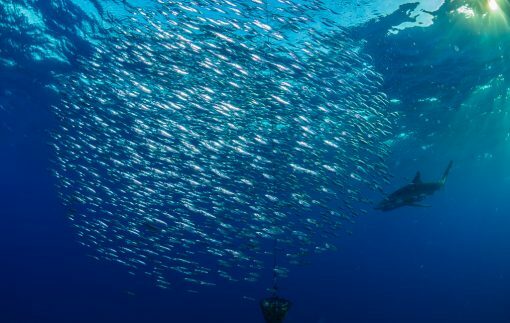 Here you dive with shoals of Mobulas and pelagic fish. 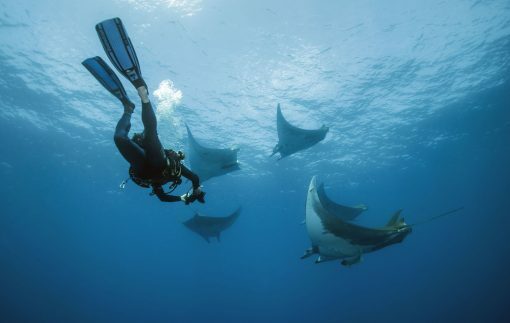 Furthermore you snorkel with dolphins and observe the whales of the Mid-Atlantic. 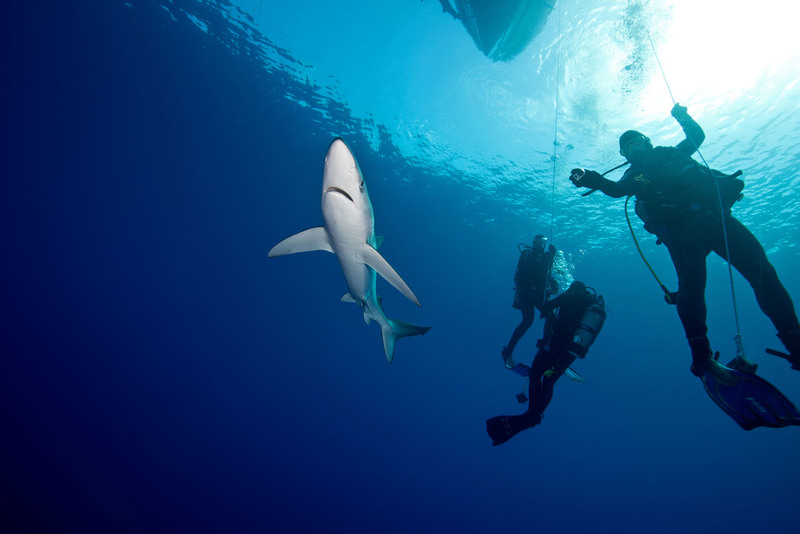 Our experience showed us to be as flexible as possible. 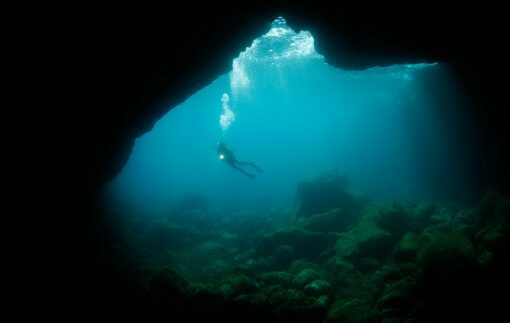 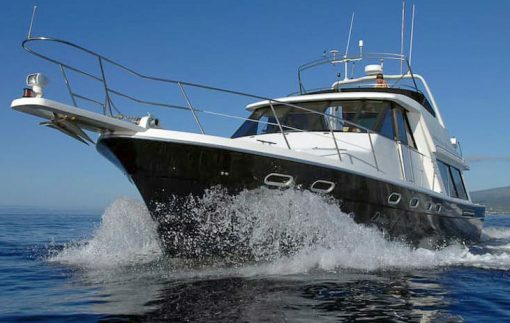 In the Mid-Atlantic we sometimes have to deal with weather conditions which do not allow us to reach the offshore banks. 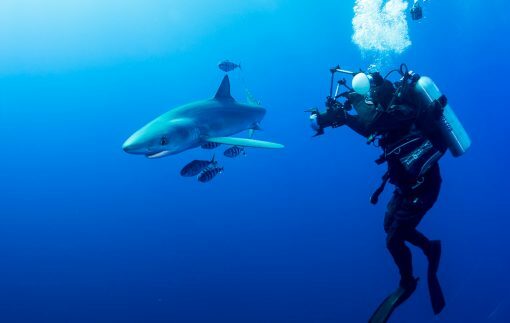 This is why it is necessary to plan the trip for 14 days. However, the summer month are quite stable. 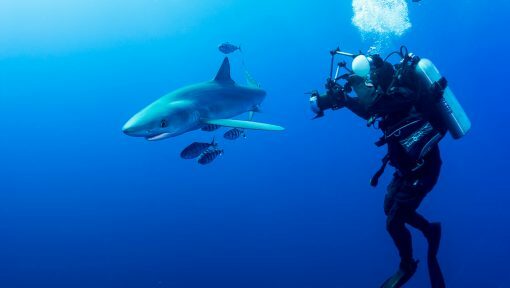 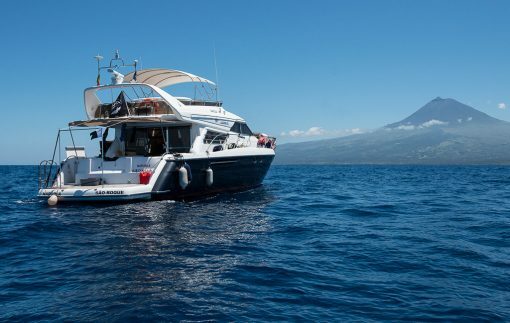 The Sharkweeks at the Azores are the ultimate shark diving programme.